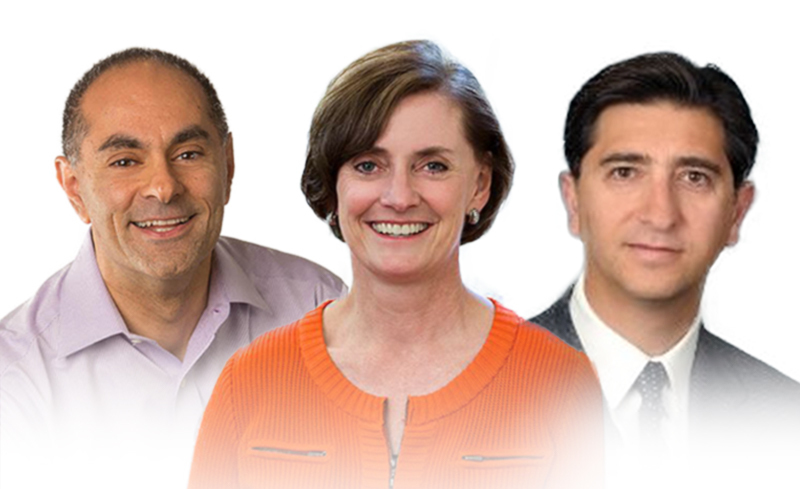 LOS ANGELES, September 28, 2018 — Science 37, a patient-centric clinical trial company announced today that Judy Smythe, MBA, Bardia Akbari, PharmD, and Niv Caviar, MBA have joined the company as their Chief Operating Officer, Senior Vice President of Clinical Operations, and Chief Financial Officer, respectively. Judy Smythe has spent more than 15 years in leadership roles in healthcare services and technology at McKesson, WebMD, and Centauri Health Solutions. She was President and Chief Operating Officer of WebMD Health Services, the wellness software and services business that serves over 130 employers and health plans. Prior to WebMD, Smythe led the McKesson business that served commercial health plans, state governments and federal government agencies with care management software and services. Earlier at McKesson, Smythe led the large financial shared service operation that processed $106B+ annual volume. As the new COO, Judy Smythe will lead the vast majority of Science 37’s operations and play a key leadership role on the Senior Executive Team. “I’m excited to join a team of visionary founders and a company with such a strong mission-driven culture,” Smythe said. “At Science 37, I’m looking forward to putting my decades of business experience to work and help Science 37 scale effectively.” She earned her BA from Xavier University, and a Masters of International Management from Thunderbird School of Global Management. Most recently, Dr. Akbari served as the Vice President and Global Head of Oncology Clinical Operations at Genentech, overseeing operational planning of over 140 clinical studies across 20 compounds annually. During his tenure, his passion for innovation and focus on data-driven decision making led to successful execution of clinical development programs that launched eight important products in a number of indications. Dr. Akbari is credited with institution of predictive modeling and data visualization as core clinical operation disciplines. During his career Dr. Akbari has held a variety of positions in Medical Affairs, Clinical Science, Clinical Operations, Alliance Management, and Business Development. He earned his BS in Pharmacy from University of Colorado and a Doctorate of Pharmacy (PharmD) from State University of New York in Buffalo. As CFO, Caviar will be overseeing finance, accounting and corporate development functions with a primary goal of aligning financial planning with Science 37’s long-term strategic direction. Caviar brings more than 20 years of experience in senior executive positions in both pharma, biotech, medical device and health service companies. “I’m honored to be part of a company with such a clear and strong purpose,” said Caviar. “I’m committed to helping Science 37 build on its momentum as an innovative industry leader.” Caviar’s prior roles include CEO of Suneva Medical; Executive Vice President, Chief Business Officer and Chief Financial officer of La Jolla Pharmaceutical Co, a publicly traded company; and Vice President of Business Development and then Head of Marketing for the medical dermatology business of Allergan. Caviar is a former strategy and management consultant at Accenture’s Pharmaceutical and Health Care Strategy Practice. Caviar is also a former U.S. Air Force officer and solid rocket motor engineer in the U.S. Space Command. He earned his BS in Engineering from the U.S. Air Force Academy and a MBA from Harvard Business School. Headquartered in Los Angeles, Science 37 is a technology-enabled clinical research company built by a team of doctors, scientists, and technologists whose mission is to accelerate biomedical research by putting patients first. They are revolutionizing clinical research with a decentralized operating model – the Metasite™ – which connects all people to science. Network Oriented Research Assistant (NORA®) is their cloud-based, patient-centric mobile platform that safely and securely supports end-to-end clinical trial services from recruitment to complete “site-less” trial execution. Researchers can find the right patients and patients can find the right trials, resulting in more access for everyone. By removing geographic limitations, Science 37 has demonstrated greater participant diversity and increased clinical trial efficiency and speed. Ultimately, Science 37 enables higher quality, people-powered science to advance digital health innovation. Learn more at https://www.science37.com, and follow Science 37 on Twitter @Science37x.